Happy April Fool’s Day! It’s the first of April, which means it’s time for our newest block in the Friendship Quilt Along, which goes by the fitting name of the Scrap Overload Block. Like last month’s Checkerboard Tiles quilt block, this one is very scrap heavy. You’ll need all the accumulated practice and skill building you picked up in March for taking on this one! 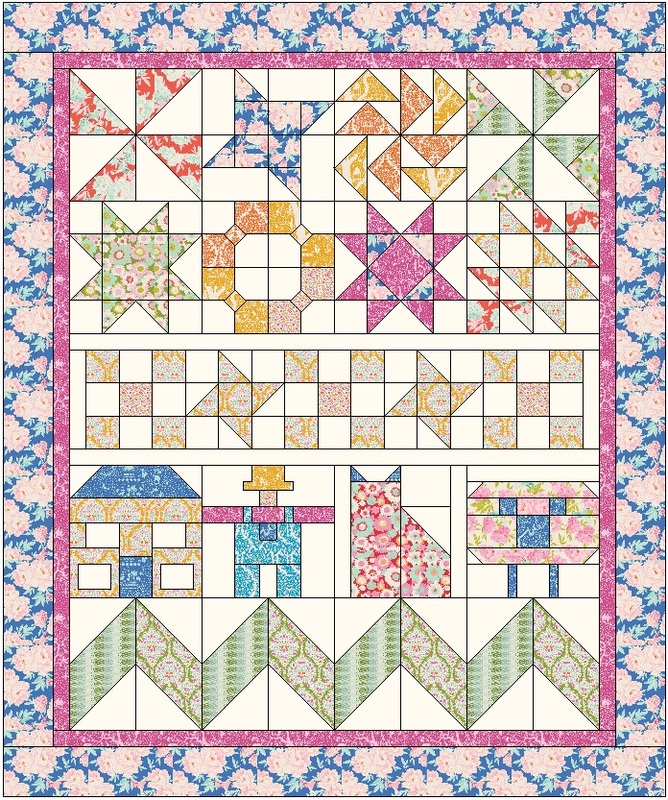 Click here to find the Scrap Overload quilt pattern. 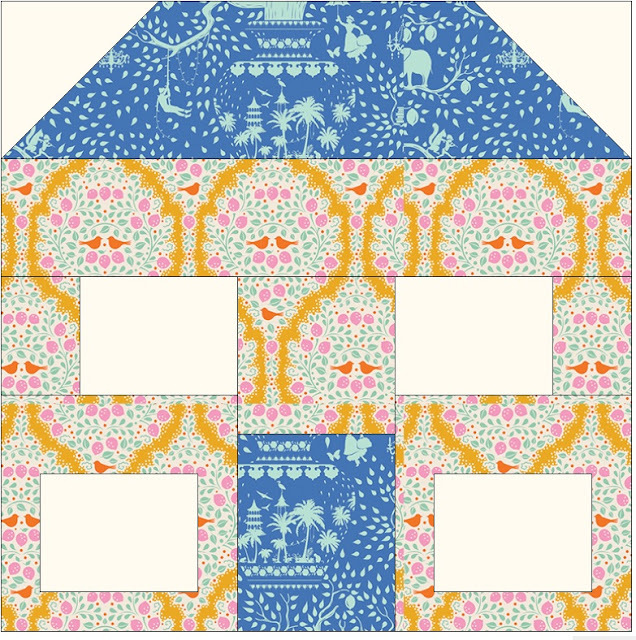 This block features lots and lots of little pieces this month with a really fun scrappy border. Click Here to find a much simpler quilting design with straight lines on my Singer 27 treadle machine. Click here to find the Checkerboard Tiles quilt pattern. Remember you can join in the Friendship Quilt Along any time and work at your own pace. The videos and tutorials I’m sharing will remain online forever so you can begin anytime! Take the tutorial to your machine with this Pantograph Quilting Guidebook! Click Here to find the new pantograph designs I’ve created and pick up your free Pantograph Quilting Guidebook! Click Here for the Patchwork Mosaic block pattern. This block uses 14 scrappy 5-inch squares to create this awesome design. It’s a great way to use up scraps from your stash or a precut square pack. This is Design #501 on the Free Motion Quilting Project! Click Here to find all the other designs I’ve shared since 2009. 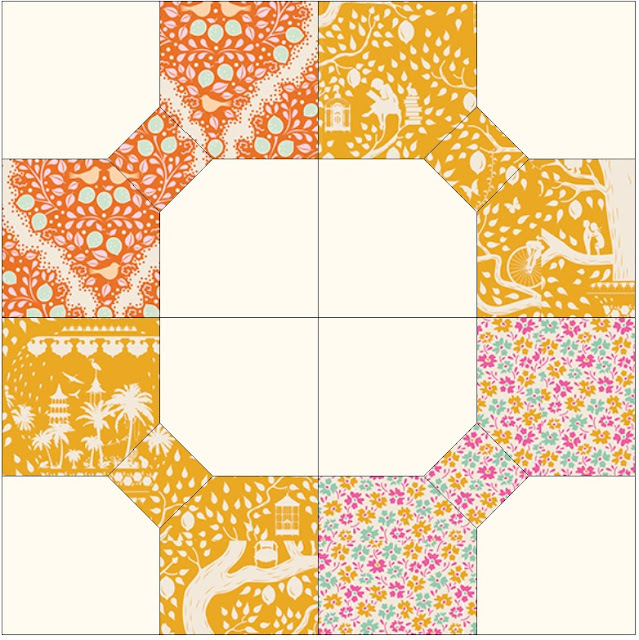 Click Here to find the pattern for the Patchwork Mosaic block. 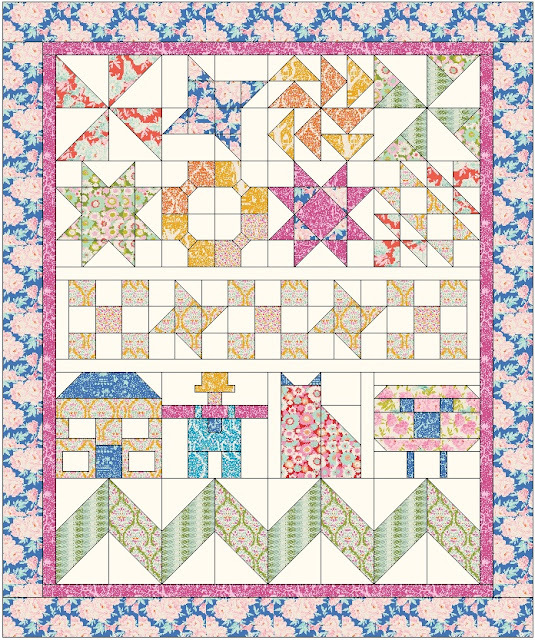 This block includes four Hourglass Squares and a variety of Quarter Square Triangles. It’s a fun adventure to experiment with all these funky shapes! What is a Hourglass Square Block? Click Here to find the pattern for the Patchwork Mosaic block. This block will help knock out your scrap stash or your collection of 5-inch precut squares. You’ll use up 14 squares to make this quilt block. What is a Quarter Square Triangle? This is an asymmetrical quilting unit pieced with a combination of a half square triangle and a single square of fabric. Click Here to find the Scrappy Star Pattern. This quilt pattern comes with everything you need to get started on the Friendship Sampler Quilt. What size is the quilt? How much fabric will you need? Learn all this and more with Block #1! This past week I received a great question from Ellie about quilting in a super tiny sewing space. I decided to shoot an entire podcast episode just to answer her question and share my tips for sewing and quilting in a small area! Just in case you’re interested in the Hemline Advent Calendar I shared in the introduction, here’s an affiliate link to find it on Amazon. Thank you so much for your support of the show! Yep, it’s time for a new quilt along and this year is all about Friendship! I can’t wait to piece and quilt these super scrappy quilt blocks with you. Click Here to find the first Friendship block pattern. How about this... the last block already! So you have two to work on this weekend. If you are using the Maker to cut your blocks here is the file. Here is our second to last block. I love this Bowtie Block and I want to make an entire quilt out of it soon. I hope you love it too. If you have been using the Maker to cut your blocks then some of this block is cut already, but... I did change the size of the small pieces so you will want to re-cut the small squares at least. Here is another super simple block. I am having surgery on Monday and I am not sure how on top of things I will be afterwards so I wanted to make certain to get one more block ready for you before hand. Here is the first of the blocks for our big push to get finished with our quilt this month. I Was literally buried under fabric last month and unable to get even 5 minutes to get these tutorials done. I have had the blocks finished the video filmed since the middle of August.